Railpictures.ca - Mitchell Gault Photo: CN A438 rounds the connector at Pelton Junction between the CASO and the old Sub1 now called the Pelton spur. | Railpictures.ca – Canadian Railway Photography – photographie ferroviaire Canadienne. Copyright Notice: This image ©Mitchell Gault all rights reserved. 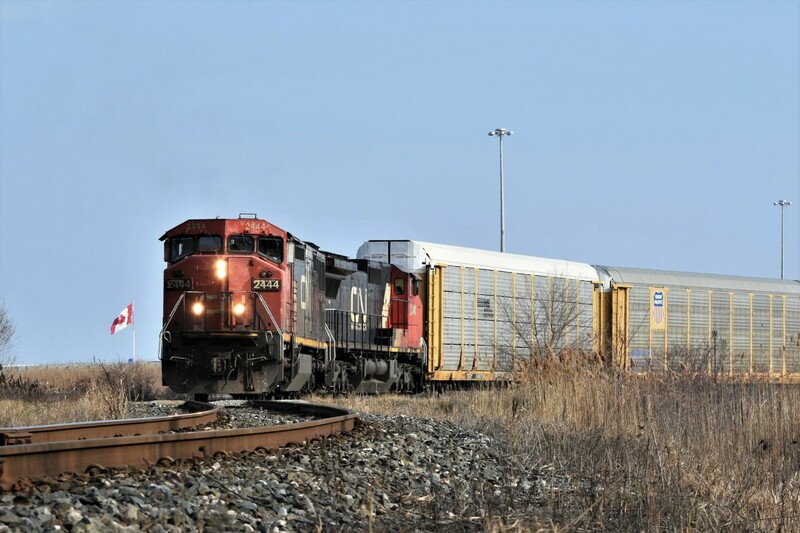 Caption: CN A438 rounds the connector at Pelton Junction between the CASO and the old Sub1 now called the Pelton spur.